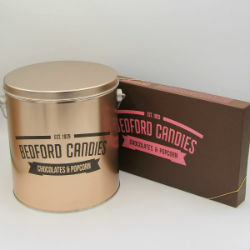 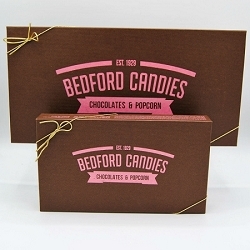 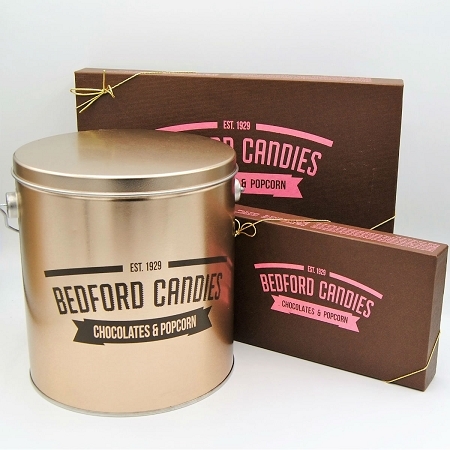 This gift includes a 1 gallon popcorn tin with up to 3 flavors of our gourmet popcorn, a 1 lb. 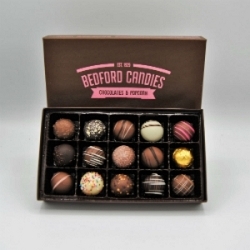 chocolate assortment, & a 1/2 lb. 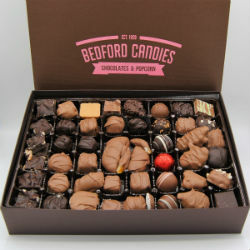 chocolate assortment.